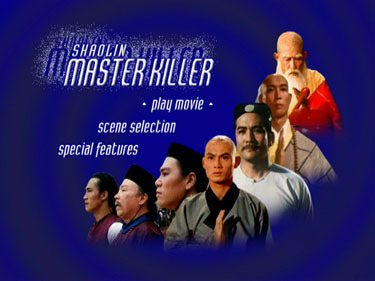 Released in Hong Kong on February 2, 1978, The 36th Chamber of Shaolin (Commonly known as Master Killer) is the work of legendary martial arts director Lau Kar Leung. 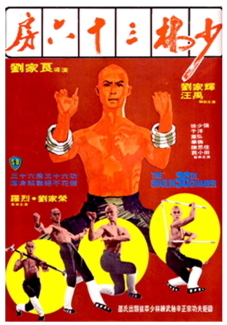 With a breakout role from Lau Chia Hui (Gordon Liu) and a villainous performance by the great Lo Lieh, the film is one of the most beloved in the history of Hong Kong action cinema. 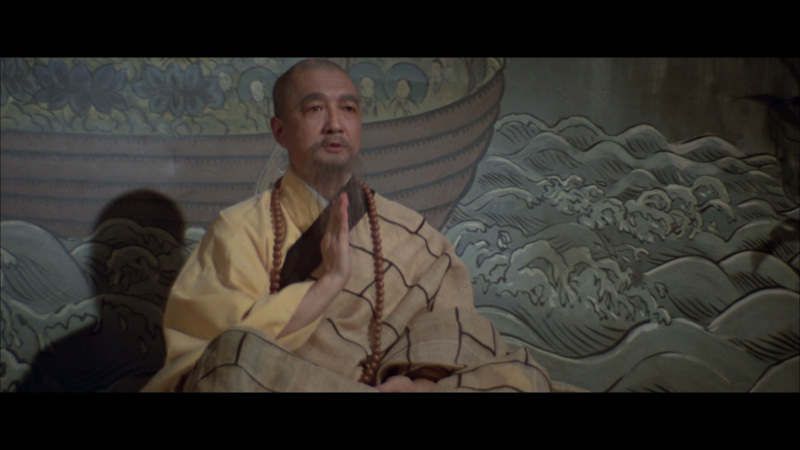 When a young student’s family is killed and his schoolmates slaughtered by the Manchus, he seeks revenge by learning kung fu at the Shaolin Temple. Sneaking inside the temple by way of a supply cart, he joins the monks and is given the name San Te. 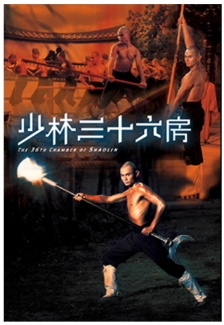 As he progresses through the thirty-five chambers Shaolin created to teach martial arts, the student gains enlightenment in the ways of the temple and his own heart. 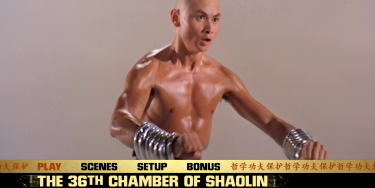 At the end of his studies, the new monk proposes they create a 36th chamber to train the people in the ways of Shaolin and give them a way to fight their oppressors. 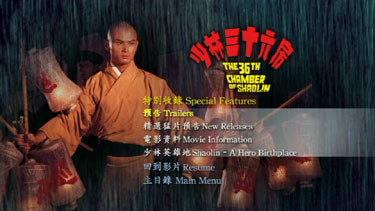 Though it shows the influence of earlier movies, The 36th Chamber of Shaolin is essentially a re-working of ideas found in some of the films of ChangCheh, particularly Shaolin Temple (1976). 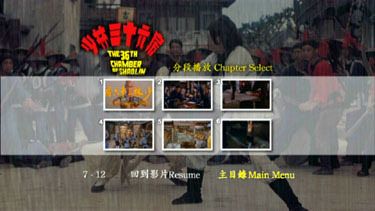 Heroes Two (1974), marked the beginning of Shaw Brothers director Chang Cheh’s Shaolin Cycle. 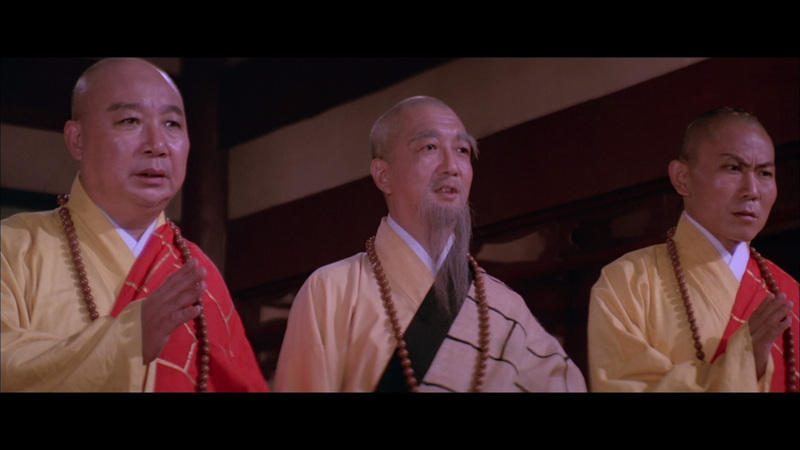 These were a series of movies detailing the history of the temple that were suggested by Chang’s long time martial arts director Lau Kar Leung. 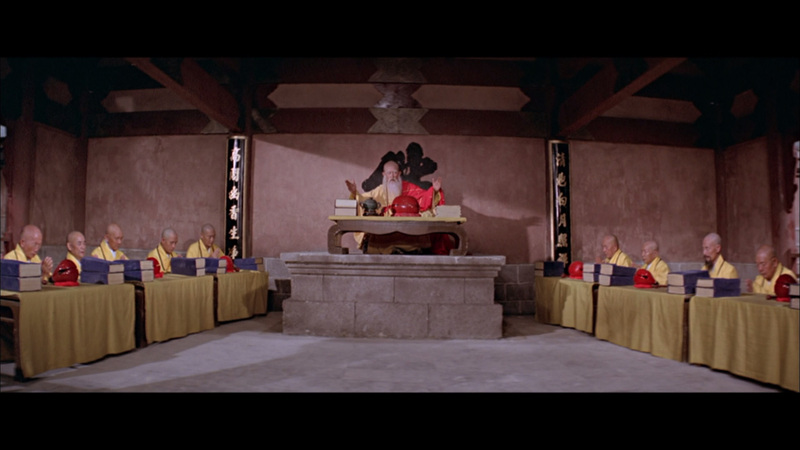 Lau became the source for most of the stories and themes of Chang’s work until their parting on the set of Marco Polo (1975). 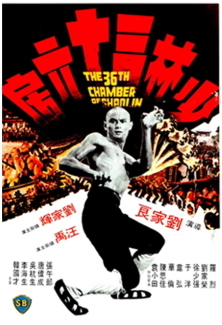 After he left Chang, Lau was offered a chance to direct his own films by Run Run Shaw, the head of Shaw Brothers studio. He produced the little seen Spiritual Boxer (1975), which introducted the kung fu horror comedy years before Sammo Hung’s Encounters of the Spooky Kind (1978). 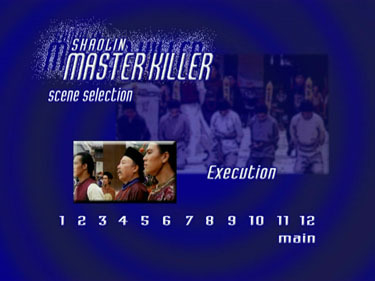 This was the first in a long line of seminal kung fu films Lau directed for the studio. Throughout his career, Lau’s work has had one overlying theme: The exploration of the history, discipline, and spirituality of the martial arts. In none of his films is this more pronounced than The 36th Chamber of Shaolin. 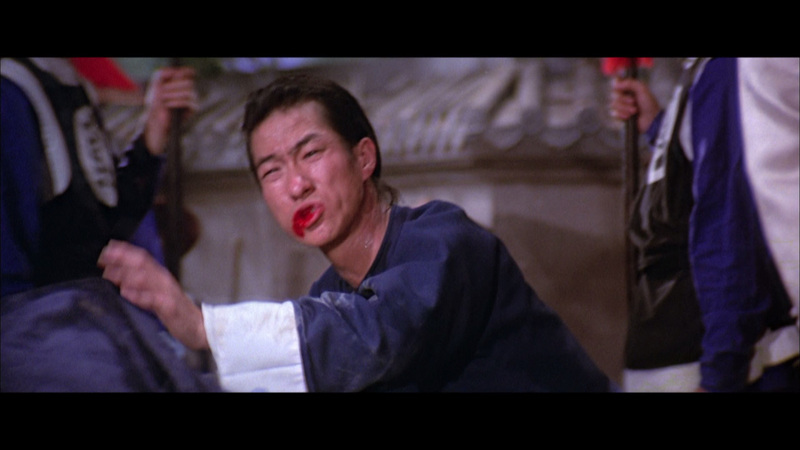 Stories of youths using kung fu to seek revenge were of course cliched even when the film was made. It's Lau’s focus on the improvement of the human spirit, instead of just action, that turns the cliché on its ear. In this director’s hands, a simple tale of revenge, becomes a story about the rebirth and refinement of the human condition. The movie touches on aspects of alienation, rebellion, and redemption with a style and humanity unlike any other film in the genre. 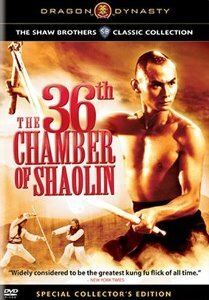 The beauty of The 36th Chamber of Shaolin is that it can be viewed on many levels. 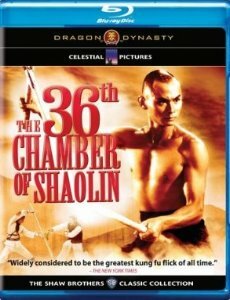 Besides being a tale of self-discovery, it is essentially the ultimate kung fu training film. 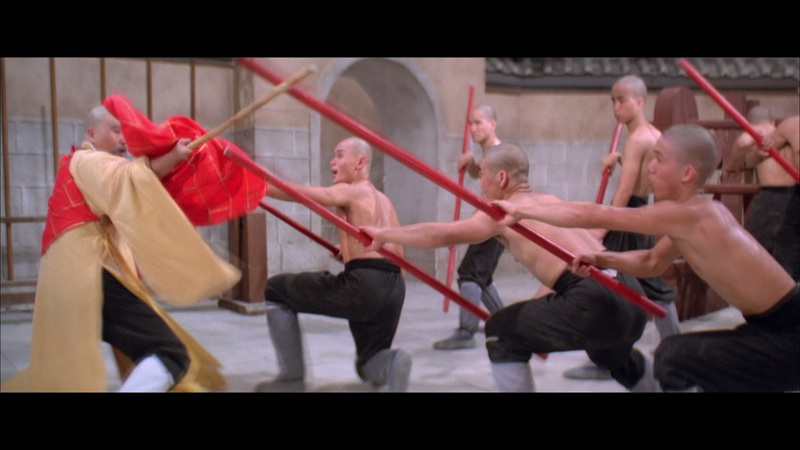 Where most movie in this genre have at least one practice scene, nearly the entire length of The 36th Chamber of Shaolin is one long training sequence. From the demonstrations in the credit sequence, to the final shots of the monks in the temple, the structure is set from the first second to the last frame. 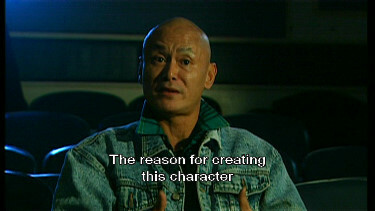 One of the main purposes such scenes serve is to depict the character exceeding their limits, to cause the audience to care more about the character. This is so well done in the film; the viewer becomes a vicarious participant in the exercises San Te performs in the movie. Legends credit San De (note the spelling) with bringing kung fu from the temples and teaching it to the masses. Much of his tale is recounted in the novel "Monk San De's Three Visits to the Xichan Monastery." 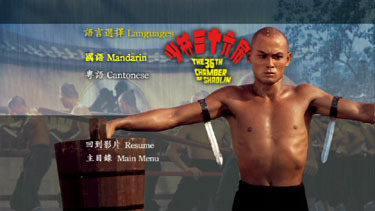 In this account, San De was already a martial artist when he visited the temple and was known for his great strength with the Iron Rings, hence his nickname “Iron Arms.” This is given homage by the first scene of the film during the title sequence, where Gordon Liu trains with the rings. A few years after the story depicted in the movie, San De was killed after he set up his own temple to train the general public. In his final battle, he was reported to have beaten over fifty men protecting his fleeing students. Though martial arts existed well before it, the Shaolin Temple became synonymous with Chinese kung fu. 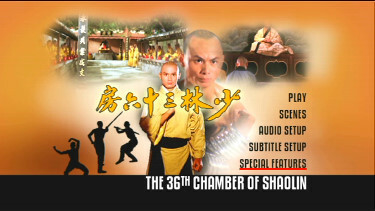 Much like the temple, The 36th Chamber of Shaolin virtually defines the kung fu film for many around the world. Big thanks to Ole of DVD-Basen for all DVD Screen Caps! 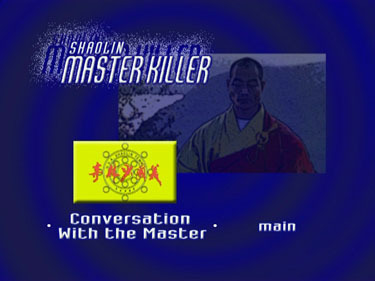 • Interview and demonstation with Sifu Shi Yan-Ming (10:10). This is bad news - the reasonably priced, single-layered, Blu-ray is 1080i (interlaced) transferred which is very surprising considering the DVD, from the same source/company, was progressive. The color scheme matches the Celestial Pictures source but the 'combing' phenomenon is noticeable even in some of the matched captures below. I had high hopes for these Dragon Dynasty Blu-rays and this, probably my favorite of the genre, is not a good start. 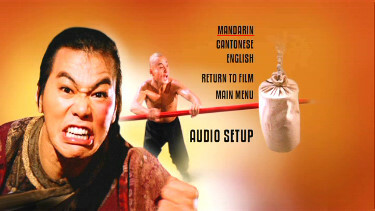 Tracks (Mandarin, Cantonese, English commentary) are all in 2.0 channel - nothing in HD (lossless). So there is no advancement over the SE DVD and all other options (English and Spanish subtitle choices) and supplements appear to be the same (see below). This is actually only $2.50 more than the 2007 DVD but I don't think the benefits are enough - certainly not to double-dip. Depending on your sensitivity to the interlacing the HD image is still a minor improvement over the DVD - with colors rendered more effectively but, in short - this could have looked a lot better. What a shame. ADDITION: Weinstein - Region 1 - June 07': First lets officially dismiss the (Out of print) Crash Cinema release forever. The new Weinstein Special Collector's Edition is wonderful, eclipsing the Celestial release in all areas but audio where the North American release appears to have chosen the original 2.0 track where the Region 3 have given typical phony 5.1 bumps - that do sound somewhat more buoyant. The new Region 1 image is slightly brighter and sharper (possibly digitally boosted). 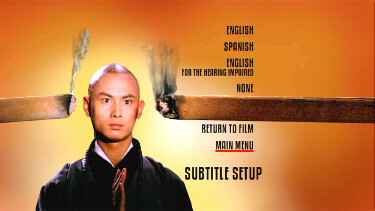 It compromises nothing in the framing and the translation, while never perfect, appears accurate in the subtitles. The Weinstein edition looks fabulous - anamorphic, progressive but does have a slim black border circumventing the frame - losing some slight horizontal resolution. It is essentially the same as the Celestial but a shade brighter, better detail and more vibrant colors. The Weinstein DVD is stacked with supplemental material. In an unusual choice - RZA is a major participant - (born Robert Diggs, July 5, 1969 in Brownsville, Brooklyn, New York, USA) he is an American hip hop producer, rapper and actor. 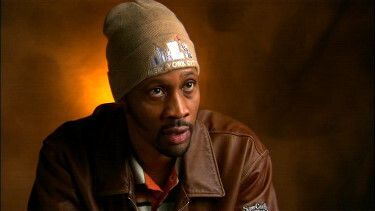 He is the de facto leader of the hip hop group Wu-Tang Clan. 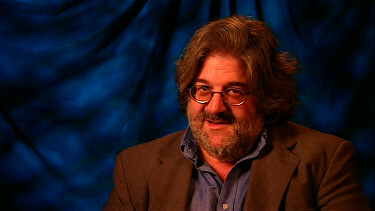 He does a good commentary with film critic Andy Klein - they discuss many factors about film and martial arts. 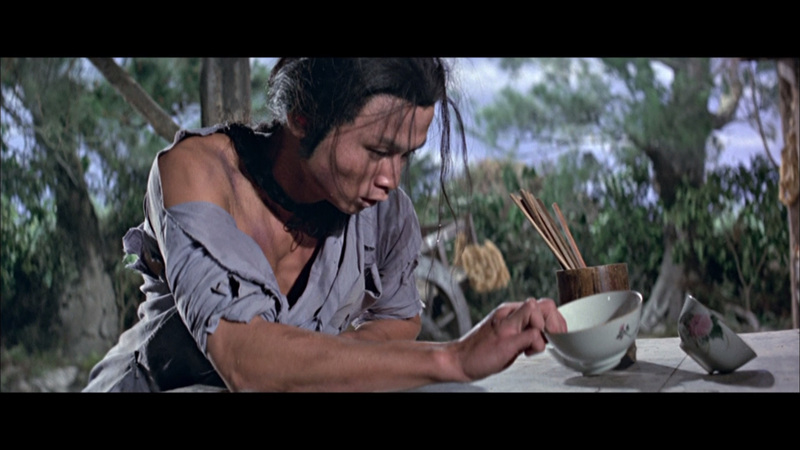 RZA seems quite educated on many of the issues - Hong Kong cinema and Shaw Brothers films in general. There is also a 17 minute interview with Gordon Lui (Chia Hui Liu) who plays General Chin in the film. It is in Cantonese with optional English subtitles. He discusses theatrical martial arts. There is another interview - this time with RZA, Andy Klein and David Chute. Only 8 minutes but very interesting and they impart some good information. There is also a bit of filler i.e. Stills Gallery, Trailer Gallery, Commentator Bios and a concert video for Wu-Tang Clan's Gravel Pit. 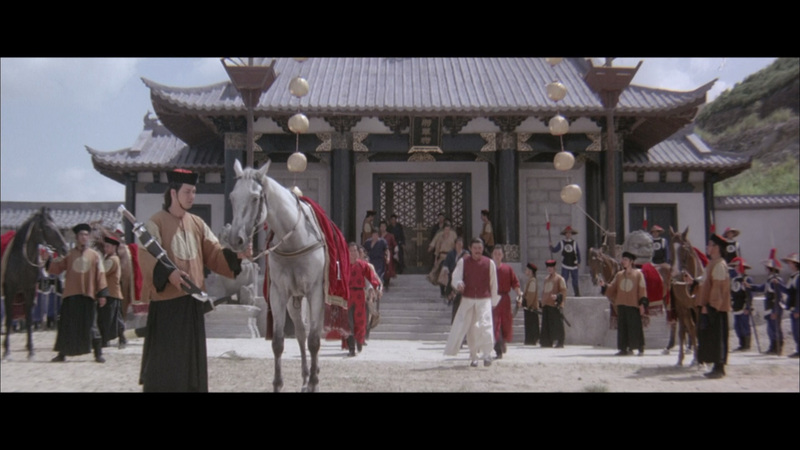 Bottom line: this is an excellent example of Shaw Bros. cinema at its very best. At $14 this is one of the most recommend deals of the year in my opinion. Thanks to the Weinstein Co. for not gouging us on these Dragon Dynasty releases. For fans of the genre it is an easy decision, but for those that have not seen it - beware! - it can make you addicted to this playful, adventurous brand of unique and frequently duplicated cinema.